Four walkers were rescued after two of their companions were swept away by a swollen river. The four were stranded in the Langden Valley in the Forest of Bowland, unable to cross the brook which had turned into a torrent. The incident happened yesterday, Sunday, and Bowland Pennine Mountain Rescue Team was alerted by Lancashire Police at 7.30pm. A spokesperson for the team said: “A group of six well equipped adult walkers had attempted to cross a swollen river. “Two were swept away but thankfully managed to self-rescue after being carried a distance, and made it to the nearest house – about an hour’s walk. Bowland Pennine MRT members checked the walkers and treated them for hypothermia at the scene. They were then walked to the nearest track where two team Land Rovers took them from the valley. The incident happened about a kilometre upstream from Langden Castle, at the confluence of Langden Brook and Fiendsdale Water. 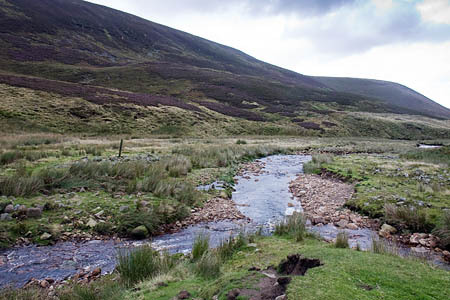 The footpath from the Trough of Bowland to Fiendsdale Head involves a crossing of the normally placid brook.